DISTRICT-Z is the flagship game from Rubio Games. It is a zombie-killing board/card/RPG game for 1-8 players in which you must survive and make your way to the safety of the CITY'S EDGE. Each game takes about 30 minutes to play. The game board is always randomly generated and determines the layout of the city at the start of each game. 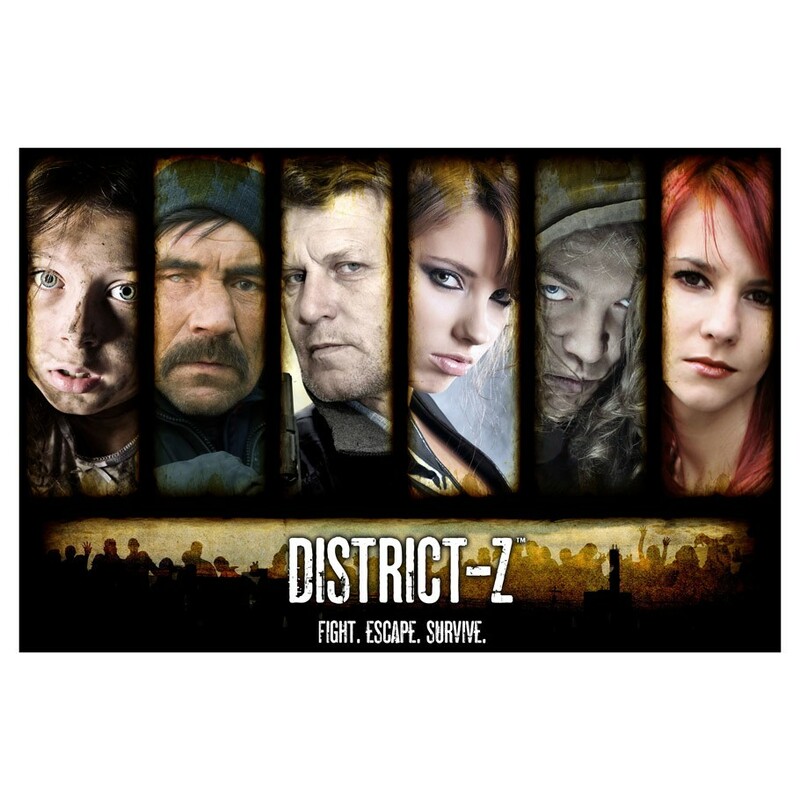 DISTRICT-Z is easy to play, easy to learn and allows players to get into the action right away. Be careful. The city is overrun with undead and you are one of its last survivors. Kill the zombies, stay alive, and escape while you still can! Zombies await around every corner. They are desperate and eager to sink their teeth into you and make you yet another member of their growing legion.